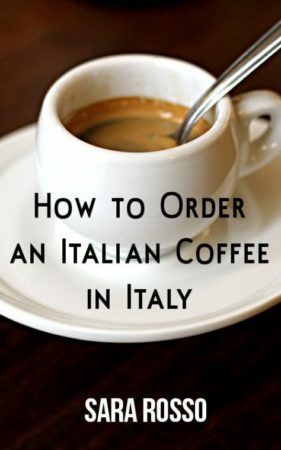 When my friend, Jacqui, asked me to write an article about what to wear on an Italian vacation…I was all in. 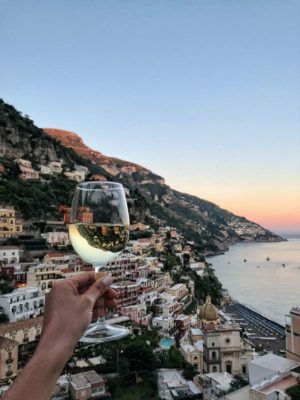 Six couples are traveling by private bus over a 12-day period to Como, Siena, Sorrento, Capri, Positano, and the Amalfi coast. Their one and only rule…no museums and no churches! Don’t you wish you were going, too? So, of course, comfy clothes and shoes for the plane are a must. Athleta has fabulous travel pants that are super comfortable and don’t wrinkle. Since planes can be chilly, wear them with a t-shirt and a long sleeve cardigan or a light weight jacket. Jacqui chose a soft trench from Banana Republic Factory. Be sure to take a look at more jacket options from LL Bean and Tuckernuck on our Pinterest board. Their first three days will be spent in Como. My advice is to make it simple and dress once for day and evening. A pair of jeans, t-shirt, blazer and flats will do the trick. A cross-body or belt-bag is the safe way to go. One of my favorites is a flat Hammitt cross body bag which can easily be worn under a jacket. And of course, we are sharing more bag options on our Pinterest board! Striped pants and jeans are another versatile travel look. Just add a shirt tied at the waist or a tee. 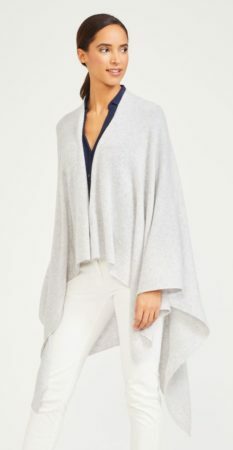 For daytime add a denim jacket, and in the evenings, a comfy wrap from J McLaughlin. Also think about wearing the pair of white sneakers you wore on the plane. 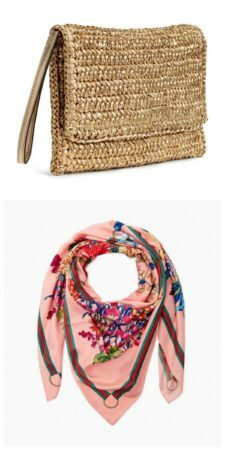 To take your style up a tourist notch or two, add a neck scarf and a small straw clutch. For their next excursion, our jetsetters will be traveling to Siena for four days of wine touring. Dancing, dining, and diversions…oh my! This is where I suggest wearing a midi or maxi skirt with flats, slides, or sneakers. 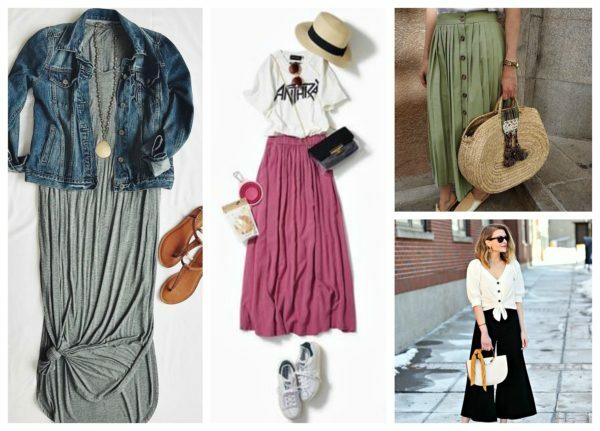 It’s so easy to create multiple looks with a skirt. Repurpose one of the shirts you wore with your pants or jeans, and drape a denim jacket or blazer over your shoulders. To add extra style, tie a knot at the hem on one side of your maxi skirt! Trust me on this one…no one will mistake you for an American tourist! 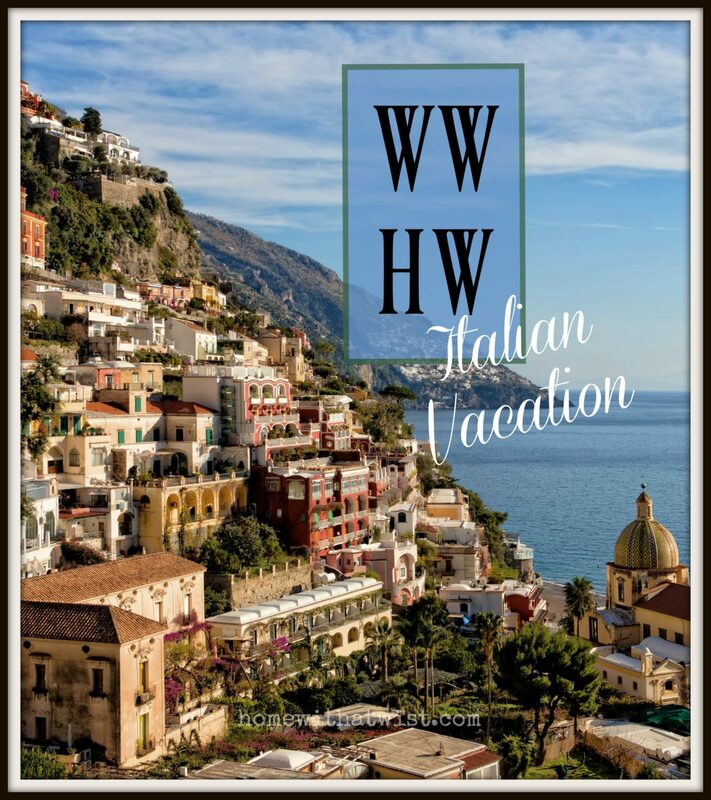 After a day trip to the Amalfi Coast, the travelers will spend the remainder of their trip in Sorrento at a hillside hotel with views of the sea. 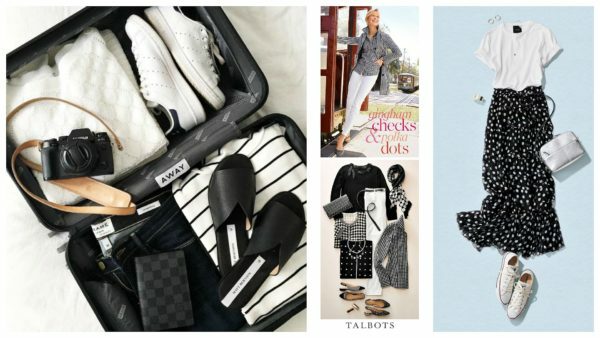 The best way to pack for a long vacation is with a capsule wardrobe. 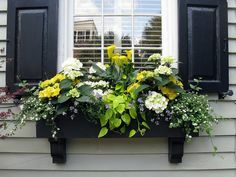 My thought is to go with black and white or navy and white, and add a pop of color with your accessories. Talbot’s black and white spring collection definitely adds a sophisticated flair to a capsule resort style. And for a fun daytime look, mix it up with checks and polka-dots. Add color with a pair of loafers or flats….I’m thinking red, or yellow, maybe green, or orange….you get the picture! Hopefully, Jacqui’s trip will inspire you to start planning your next European vacay. And be sure to message me if you need help organizing a capsule travel wardrobe! Holley Williams is a personal stylist specializing in closet inventory, seasonal shopping, closet organization and wardrobe consultation. 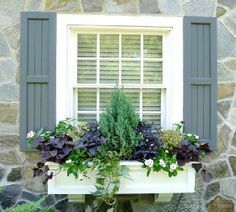 Contact Holley at [email protected] Be sure to check out Holley’s updated Pinterest board. If you ask me what my go-to style is….it’s definitely a bag and a blazer. I typically wear a blazer with jeans, and a handbag always completes the outfit! Let’s start first with complementing a pair of jeans with a bag and a blazer. 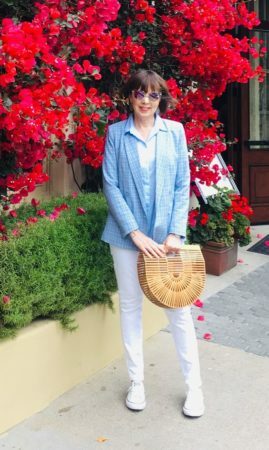 Last summer, a blue plaid blazer, white jeans, and a wooden bag was my vacation go-to style…from sea to shining sea! 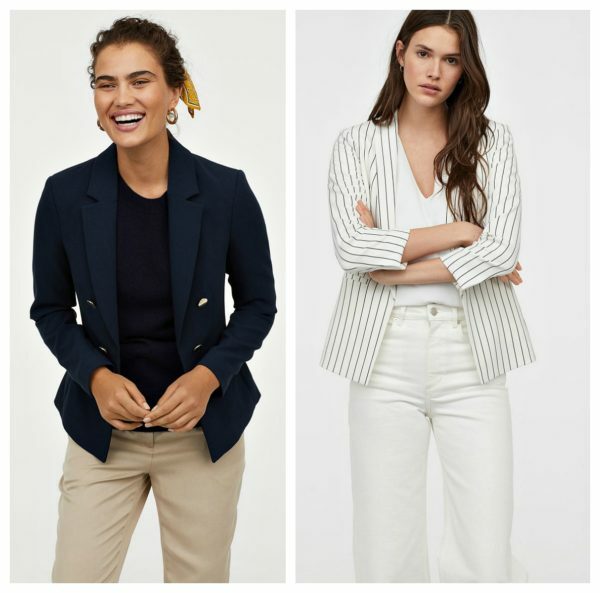 Two new favorites I purchased on sale at H&M are a striped black blazer and a double-breasted striped navy blazer with gold buttons. And both pair perfectly with my Japanese inspired wooden bag. Ready or not spring and summer….here I come! When it comes to staying cool and comfortable, linen is the way to go. A white or linen blazer coordinated with dark denim crops pairs perfectly with a round wicker bag. 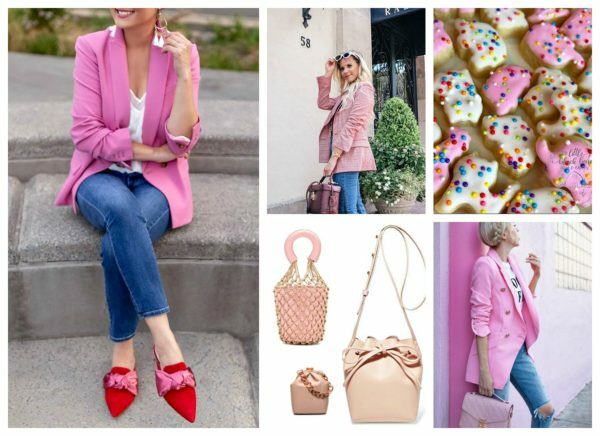 A few cool summer looks on our Pinterest board feature a pink blazer. My spring/summer go-to bag is a white bucket bag incased with macramé and I’m loving it in pink as well! Now let’s talk about the ideal Easter Sunday look….a dress or skirt worn with a blazer! The Suburban Faux Pas blog shows a tweed blazer, silk bow blouse, and light pink skirt accented with a white Louis Vuitton shoulder bag. Another beautiful Easter look is a floral dress complemented with a white tuxedo blazer and a Chloe bag. 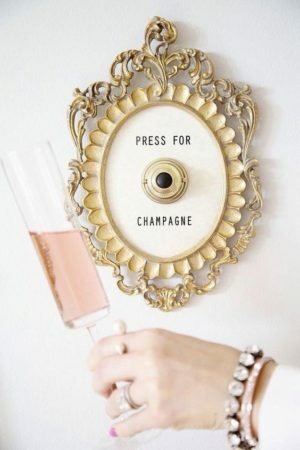 And both looks are ideal for an Easter Sunday brunch! Meagan Markle always shines wearing approachable styles. She looks stunning in a striped Altuzarra dress matched with a black blazer. A black and white shoulder bag completes her ensemble. Plus we love how her striped bag does double-duty when she wears it with a white blazer and pant ensemble. Who doesn’t want to look chic? 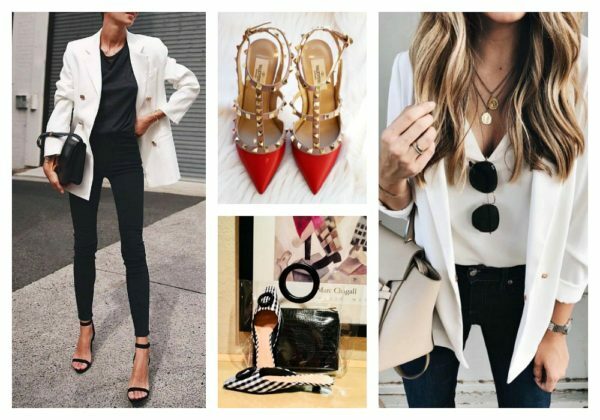 The ultimate in sophistication is a black double-breasted blazer worn with white jeans or crops. Give it a casual vibe with sandals and add a black wooden bag. Or dress it up with a metallic handbag. Either way, the chicness is over the top classy! 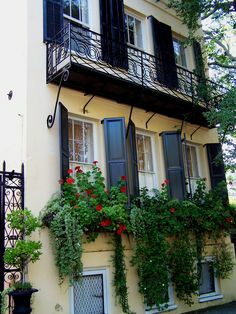 Planning a European vacation? A leopard print maxi dress topped with a black blazer paired with a wicker tote is perfect for strolling cobble streets in the evening. 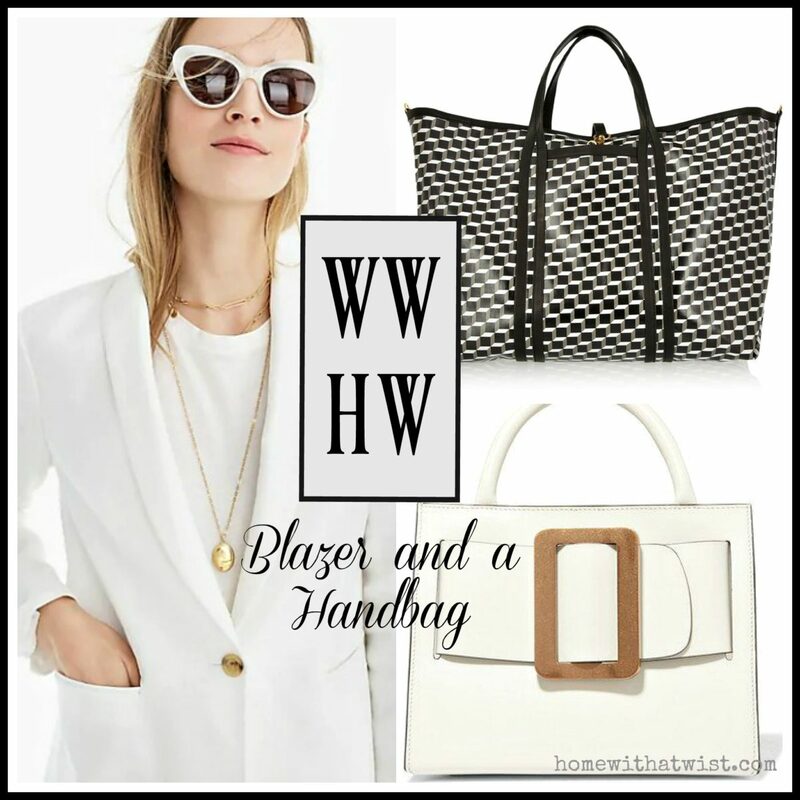 Another sophisticated vacation look shows a black and white woven bag with a tan blazer and white crops. We are also crushing on St. Agni’s collection of rattan handbags! And for alfresco dining, a Danse Lente white shoulder bag is the perfect match for a pink plaid blazer worn over a black lace cami….so French! 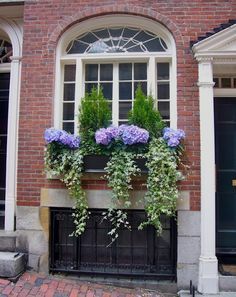 Check these styles out on our Pinterest board. Now I’m starting to wonder if a “bag and a blazer” are your go-to style as well. Hmmm…seems like great minds think alike! 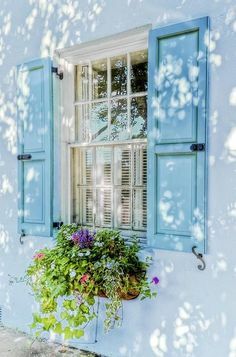 Springtime in Texas comes in many temperatures….from cold gusty winds to warm sunny days. 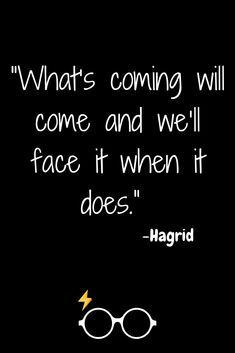 We never know what to expect! 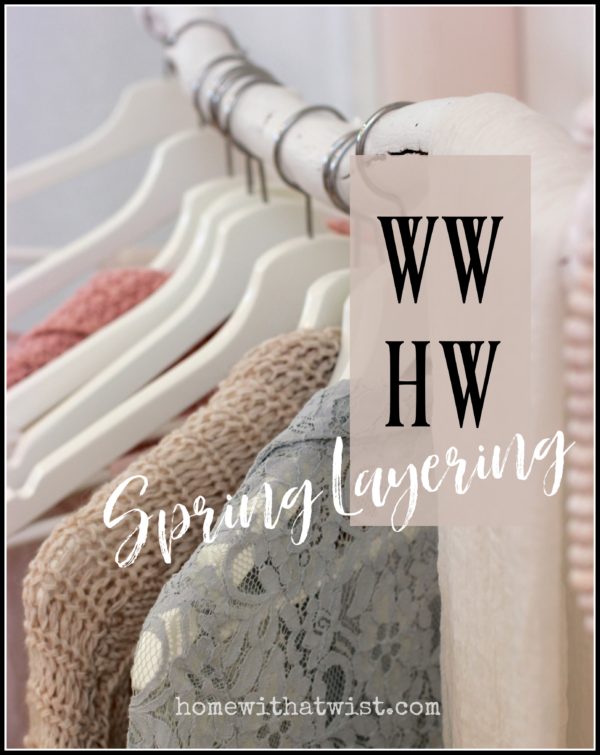 Though one thing I know for sure….spring layering is a must! So let’s talk about coats. Spring is the perfect time of year to layer with a trench coat. Nothing says “welcome spring” like a trench worn with white jeans and sneakers. To dress up your trench a bit, complement it with crops and heels, and wear it as a raincoat when needed. Let’s be honest though….sometimes we still need a warm coat in early spring. 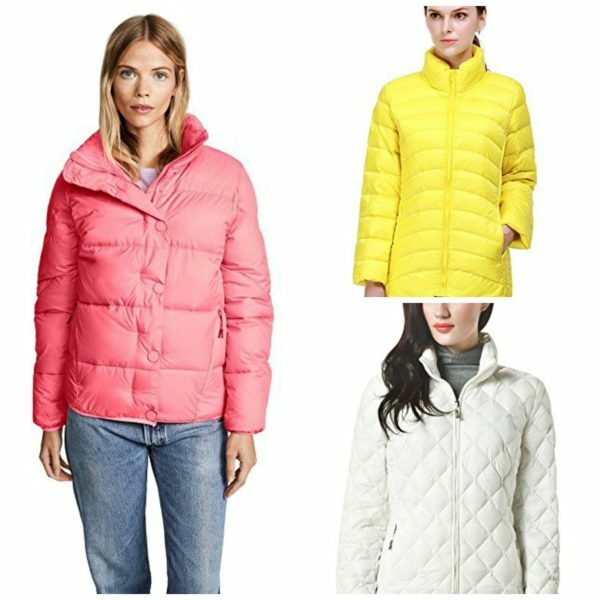 Think about adding color by wearing a yellow, pink, or white puffer….so many choices at Amazon Fashion. And of course these are perfect for a spring ski trip! 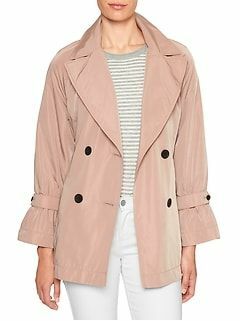 A wrap coat is another great option for spring transitioning. 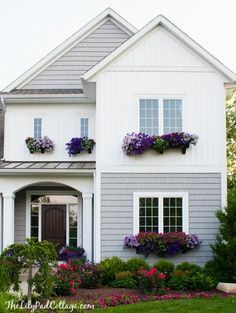 Be sure to browse all the options on our Pinterest board! No matter what the temperature, a tweed coat will definitely give you spring fever! Anthropologie steals the show with their pink scalloped tweed coat shown with blue jeans and a white shirt. For a fun preppy look, wear a blazer with a denim shirt. 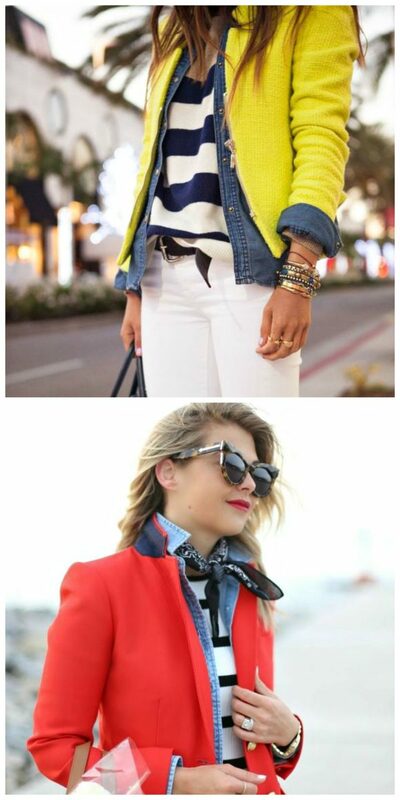 Two Pinterest looks we love feature a red blazer and a yellow blazer. They are both layered over denim shirts and striped tees. If you are wanting a classic look, a navy blazer is the perfect introduction to springtime in Texas. Bring on the fever! Not only is it super frugal to transition an army green jacket from fall to spring, it’s also super trendy. 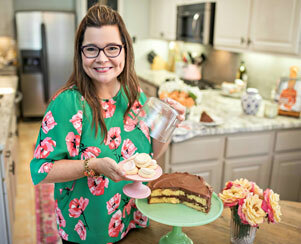 My style throwback is an army green blouse and jacket I like to wear with white jeans. To give it a spring vibe, I changed out my fall tote for a clear Luna tote from Boho Couture. A camouflage jacket paired with white jeans and a blue chambray shirt is another way to transition from one season to the next. Wondering what to wear Easter Sunday when it’s chilly out? 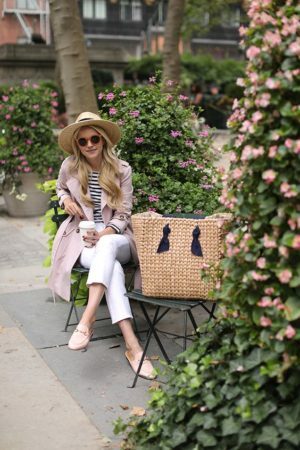 We love how Nordstrom’s style muse, Eadie Blair, shares her ladylike looks. With a beautiful coat layered over a skirt or slacks, she always adds a breath of fresh “spring” air to her style. 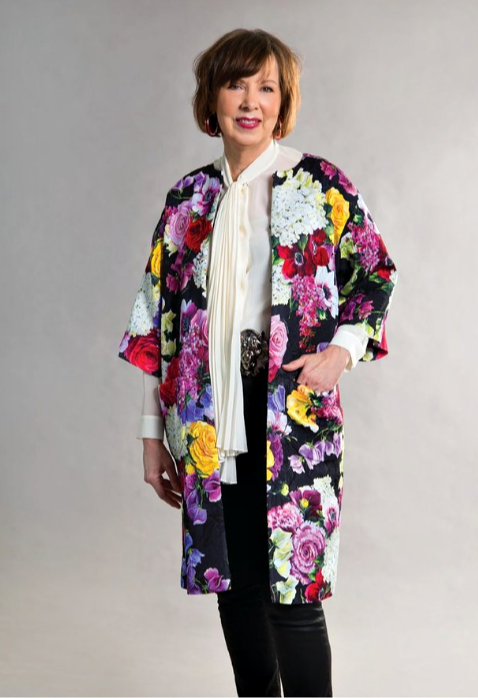 Another church style hack is to drape a blazer over a floral dress…so elegant! 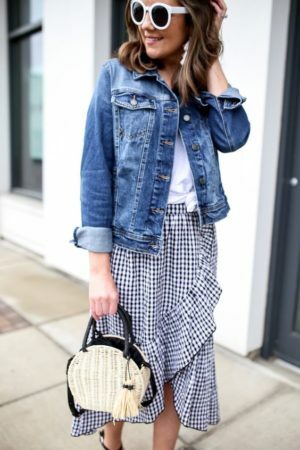 A denim jacket matched with a checked ruffled skirt and white wicker bag is guaranteed to add a little “spring” to your step! 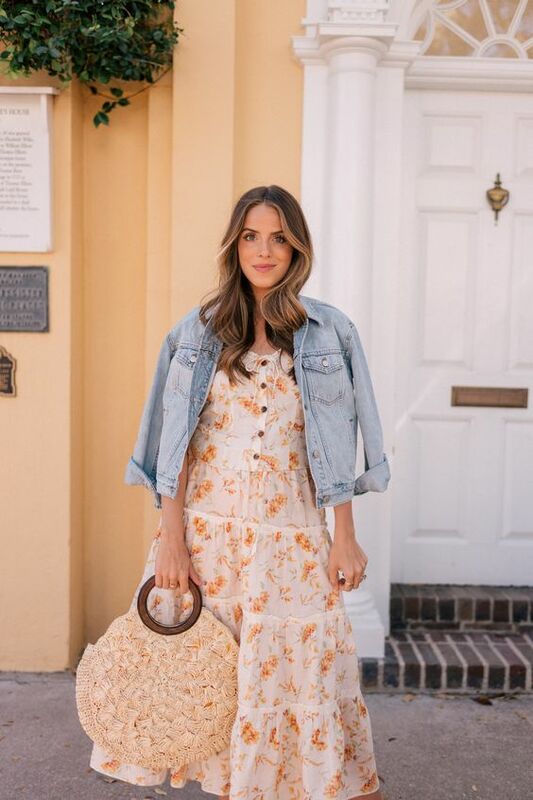 And we are major crushing on a floral midi skirt and dressy pink purse topped off with a blue jean jacket. Who’s ready to hunt Easter eggs? From coats to jackets, the whole idea of spring layering is to transition from one season to the next. And guess what? I predict you will be wearing some of these looks throughout summer as well! “Skidamarink a dink a dink, Skidamarink a doo….I love you!” Can you guess where I’m going with this? So….I recently spent a week babysitting my two youngest grandsons, ages 15 months and four years old. More than style….easy/breezy was my goal for the week! “I love you in the morning.” My plan each morning was to wake up before the boys and get ready for the day. I totally understand why young moms wear mostly fitness or athleisure clothes all the time, because there is no time to think about styling an outfit. Or is there? The key is to plan in advance. So before I left Fort Worth, I had my week’s outfits figured out! A pair of pull-up black skinny pants from H&M were perfect for playing on the floor with the boys. I paired mine with a gray sweater and gray Sherpa vest. On the days I didn’t have time to wash my hair, I wore my “But First, Coffee” baseball cap (a gift from a friend). Mark & Graham offers adorable monogramed initial caps in an assortment of colors. 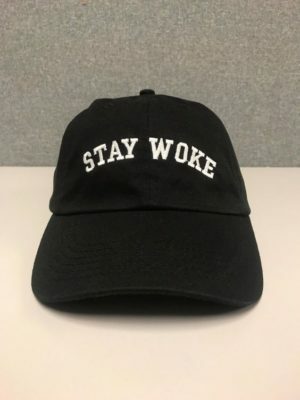 And my favorite Pinterest cap, says “Stay Woke”….perfect for bad hair days! “And in the afternoon.” When playing with children and running errands, you can’t beat jeans. On my flight to Kansas, I wore jeans with a gray turtleneck, army green jacket, Trask boots (Stanley Eisenman’s), and a gray scarf. 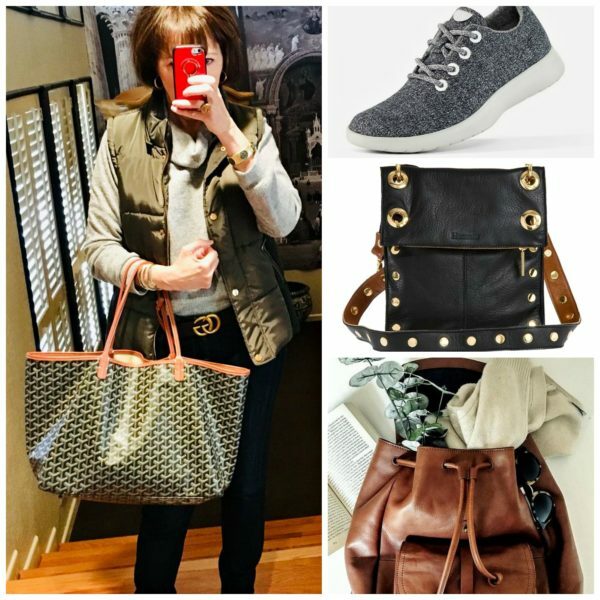 Here’s my style tip…even when you’re running errands with kiddos, think about adding one stylish accessory. 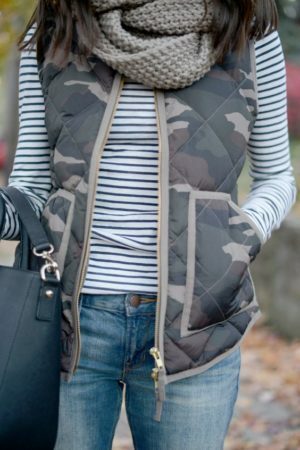 A Pinterest board look we adore shows a camouflage vest with a striped t-shirt, and the scarf adds the extra style! A super easy way to add style to an ensemble is with a handbag. Shoulder bags, backpacks, and cross body bags work great when strapping toddlers in and out of a car seat. A Madewell monogramed bag stylishly fits the bill. I consider sneakers to be trends with benefits! And speaking of benefits…a pair of All Birds wool sneakers are so comfortable and perfect for playtime! 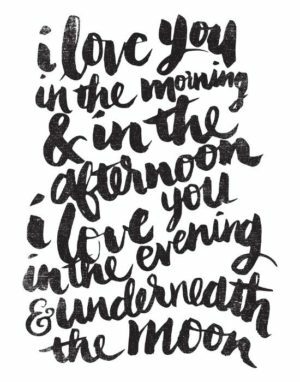 “I love you in the evening and underneath the moon!” After dinner, it was time for baths, reading books, and singing. 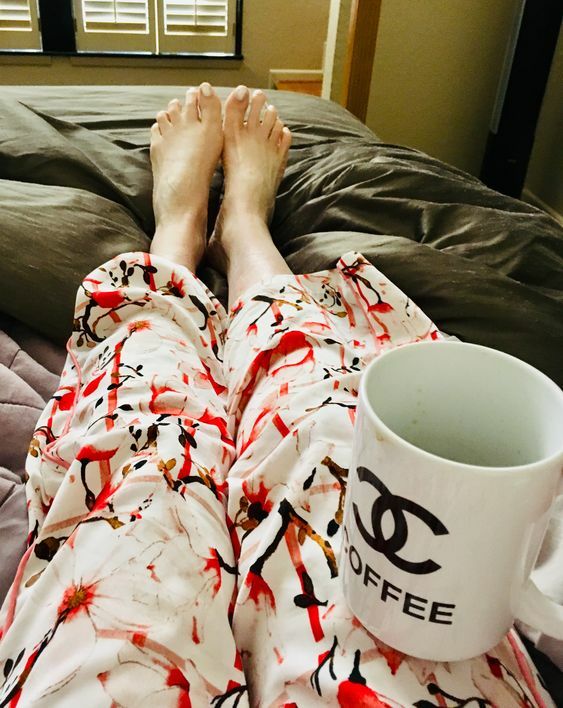 For my downtime, I treated myself to dark chocolates and Netflix, while wearing a beautiful pair of floral pajamas by Tahari from Marshall’s. If you are wanting to add a little luxe to your downtime routine, be sure to browse our Pinterest selection of pajamas from Dillard’s and Neiman’s. “In the blink of an eye,” I was back on the plane to Fort Worth with a week full of memories, a few sore muscles, and a song that’s stuck in my head….maybe for eternity! Doesn’t get any better than that! True confession: I love it when someone compliments an outfit I’m wearing! Point proven when a young man working in the produce department at Walmart said this to me…“Look at you girl…lookin’ all fly!”. That really happened y’all! You may be wondering, what does a produce guy know about style? Truthfully, I don’t know, and I don’t care. But I do know this….it made my day! 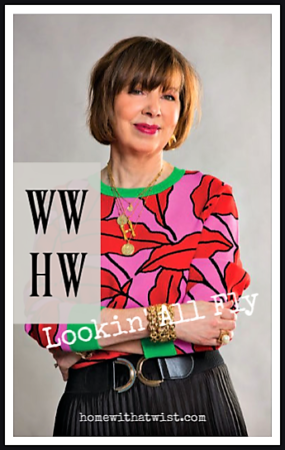 So let’s get started and talk about some complimentary looks that will definitely have you “lookin’ all fly”! Speaking of making my day….my friend, Laurie Blum, recently treated me to an “autograph party” in honor of my 360 West Magazine spread! Laurie is not only an amazing hostess, but also has a great sense of style. She wore a beautiful floral Ana Sui dress with a pair of black polka-dot Kate Spade pumps….the perfect print mix for the perfect hostess. And I loved how my friend and wardrobe client, Amy Gotcher, styled her LBD with a red shawl and matching red shoes! 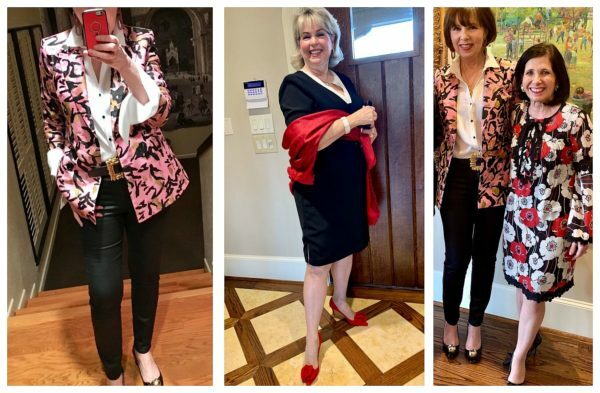 My party outfit included a pair of Kate Spade block heels, black H&M jeans, a vintage Carlisle belt, and a Zara blouse topped off with a pink animal print blazer from Nordstrom’s/Top Shop! From dresses to blazers, I loved how our party guests complemented their style with a pop of red! 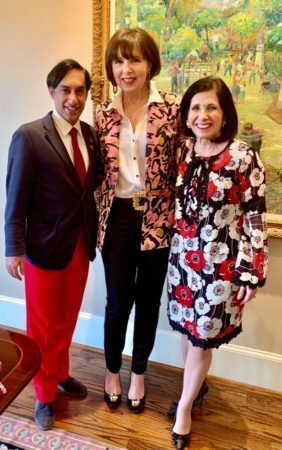 Dr. Asad Dean, Ft. Worth fashion icon, stole the show with his red slacks…so debonair! 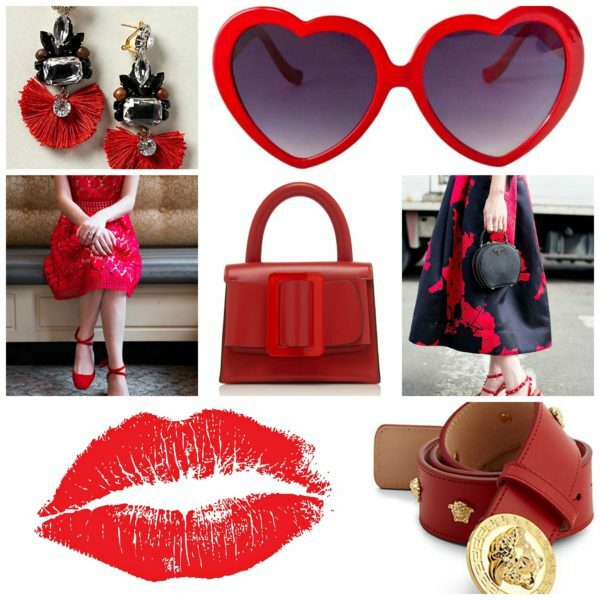 Our Pinterest board features an array of red ensembles from dresses to pantsuits. For a cool vibe, pair black jeans with a white t-shirt and white or a black blazer. For daytime, I suggest a cute pair of black and white checked kitten heels matched with a trendy translucent bag. To turn up your night-time style a bit, wear a pair of red heels. Look who’s making a statement now! Speaking of cool vibes, a printed t-shirt worn with a blazer and jeans says one thing to me…“Shut yo mouth!”. Seriously…when paired with a cute pair of shoes and handbag, your look can’t get any cooler than this. And no one knows that better than Mrs. Twist. Her signature look….indeed! 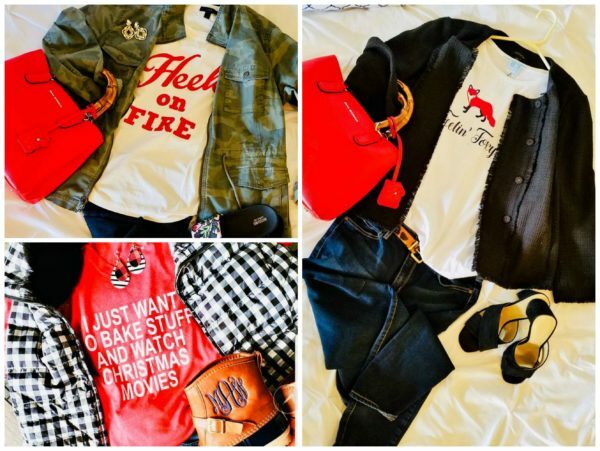 From her “Heels on Fire” t-shirt matched with a camo jacket to her “Feelin’ Foxy” tee complemented with a black tweed jacket….she’s definitely “all fly”! And I’m loving how her red handbag with bamboo handles pairs so well with both outfits! Another favorite Mrs. Twist look is a black and white checked vest, printed red t-shirt, and monogramed duck boots. Fabulous and fly!!! So here’s the deal, the next time a stranger gives you a compliment or a friend throws you a party.…be sure to let them know how special they made your feel! And don’t forget to pay it forward….because a compliment is the gift that keep on giving! Okay I’m putting this out there….“I’m nicer when I like my outfit!” I saw this on a friend’s Facebook page and thought it was just too good not to share! 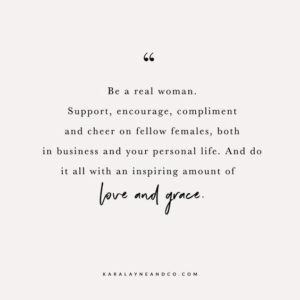 And truthfully….this really hit home with me! Shoes, belts, and handbags most definitely make me a nicer person. 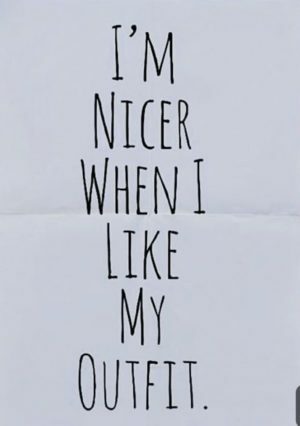 So, let’s start with the base of all niceness…shoes! 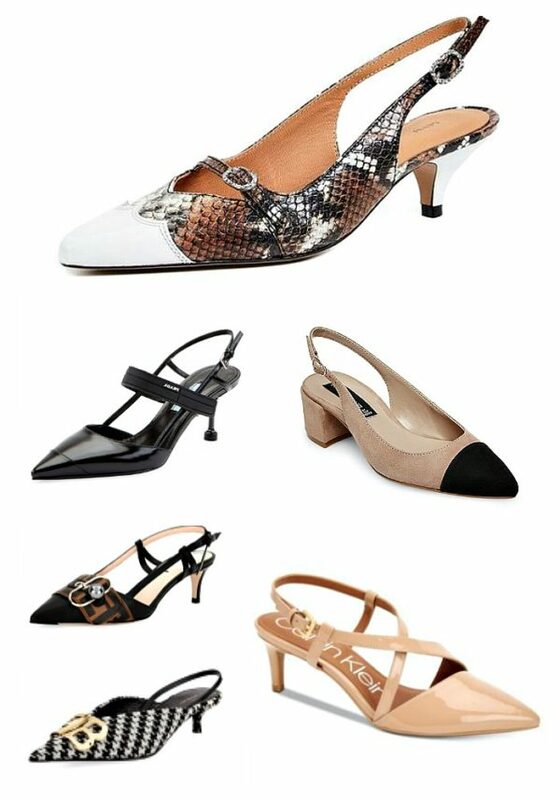 My favorite style for spring is the slingback. 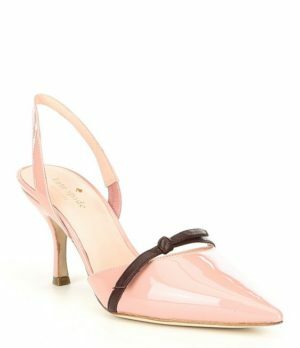 A pair of Chanel cap-toe slingbacks is the ultimate in a luxury shoe. 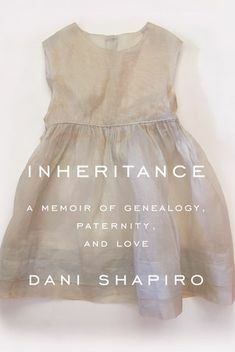 Be sure to look at some less expensive copies on our Pinterest board. And if I owned a pair of Ganni’s slingback kitten heels in snake print…I think I would be extra nice! Belts are our friends….because they complete an outfit and mainly because they nicely cinch our waists. A trendy way to wear a belt is over a suit, blazer, or coat. We love how a long wrapped silver belt cinches a white pantsuit. Styling a cocktail dress with a belted blazer helps maximize the pieces you already have in your closet. Sounds like someone is taking nice to the max! Belt bags are still on-trend and can be worn two ways…around your waist as a belt or over your shoulder as a cross-body bag. We are loving the resort vibe a Max Mara belt bag gives a white pants ensemble. A street style star shows us how to stay on trend by draping a belt bag over one shoulder. And we think a pale pink leopard print dress worn with a pink Gucci belt bag is especially nice! So what do you get when you pair an “it” bag with a style influencer? That would be a whole lot of niceness! And please know, when I say “it” bag, that doesn’t necessarily mean an expensive designer bag. 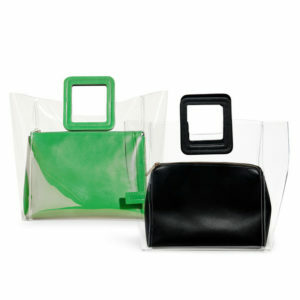 Translucent bags are so on-trend and you can spend as little or as much as you want. My style hack is pairing an inexpensive clear bag with a designer clutch. How genius and nice does that sound? 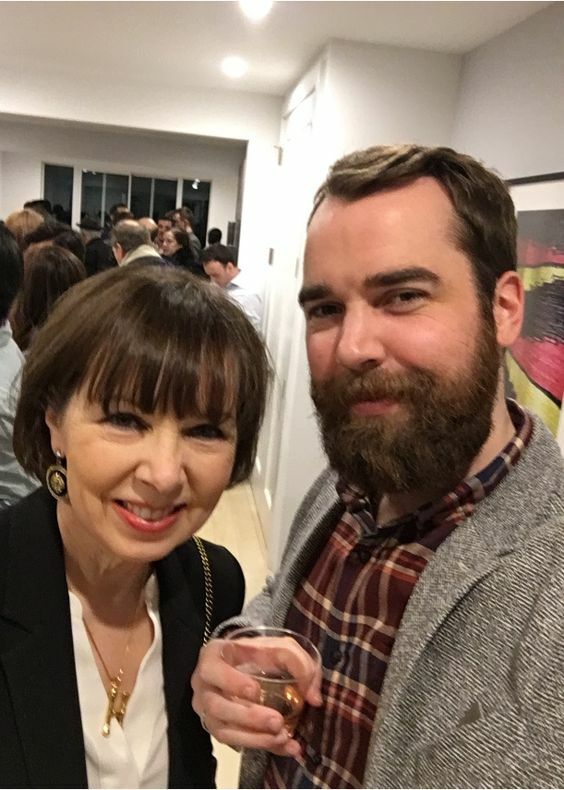 My go-to look is a blazer and a blouse. BTW….having a go-to look definitely makes me a nicer person. I am always on the lookout for a statement blouse. That way I can push my blazer sleeves up and show off the beautiful cuffs. I’m loving a Floryday lace and ruffled button down shirt…perfect for my springtime go-to look! I’m pretty sure anything in animal print will bring out your inner niceness! That’s because it’s considered a neutral and goes with every color and texture. I have a major crush on snake print skirts and pants. Wear them now with a sweater and booties. In a few months, wear them with a white blouse tied at the waist and sandals….twice as nice! After reading my “Five Day No Denim Challenge,” my son, Chris, presented me with another challenge…“One Weekend/One Carry-On”. If I could sum up this challenge with one word, it would be….YIKES!!! 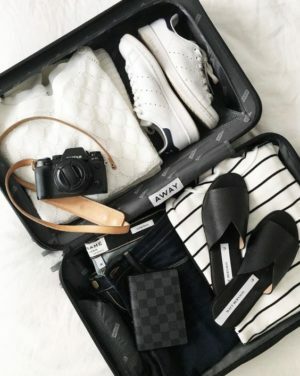 True Confession: I’m an over-packer, especially when I travel to New York. And since I stay with Chris in his “small-ish” apartment, he has hinted that it would be nice if I just brought one small carry-on bag. So, my first challenge was to find the right carry-on….good quality, a spinner, light weight, and easy to pack. 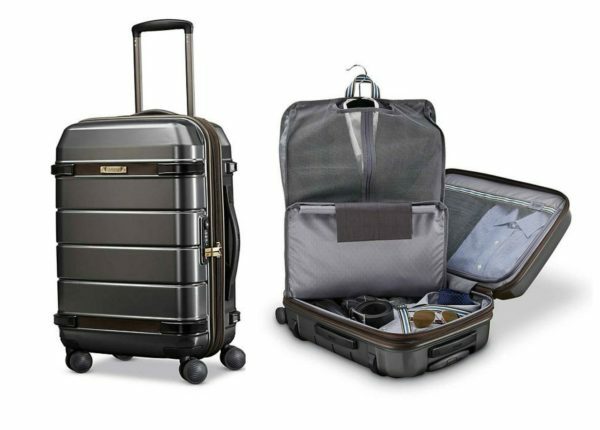 In the end, I went with a 22 inch hard-side Hartman carry-on spinner….love it! Here’s what I packed: One pair of faux leather pants, one white blouse, one sweater, a black blazer, and a mini bag. I also brought pajamas and undergarments. A space saver was packing socks instead of my UGG house shoes (too bulky). And of course I packed a few small bags for makeup and hair supplies. 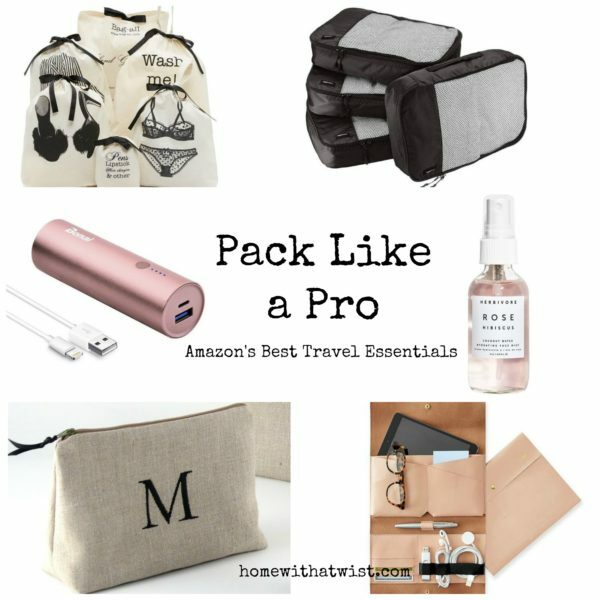 Be sure to look at the The Best Amazon Travel Essentials on our Pinterest board. For the first time, I tried the “KonMari” vertical packing method from the hit show, Tidying Up. 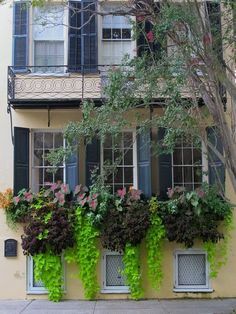 Be sure to watch her video on our Pinterest board. And a little trick I’ve used for years is wrapping my clothes in plastic cleaner bags to keep them from wrinkling. Though I did place my blazer in the hanging bag that came with my carryon…very convenient. The good news….everything was wrinkle free when I unpacked! Getting there was the easy part (except for delays). My secret weapon was layering! On the plane, I wore black jeans over tights, socks, knee-high boots, a camel turtleneck sweater, a blazer, plaid scarf, and a puffer coat. I also carried a large tote on the plane. Thank goodness for totes…mine included a travel pillow, my credit card holder, plus a few magazines. At the last minute, I packed a white blouse to dress up my style a bit for a record release party to which we were invited. 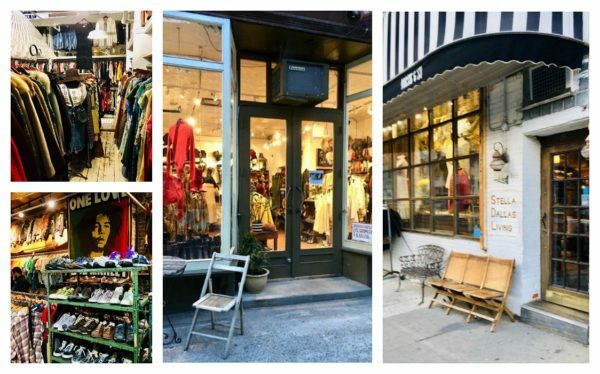 Some of our excursions included MoMA, a church service, dining out, the record release party, and vintage shopping in Williamsburg. To complete a fabulous weekend we had drinks at Westlight at the William Vale Hotel in Williamsburg. 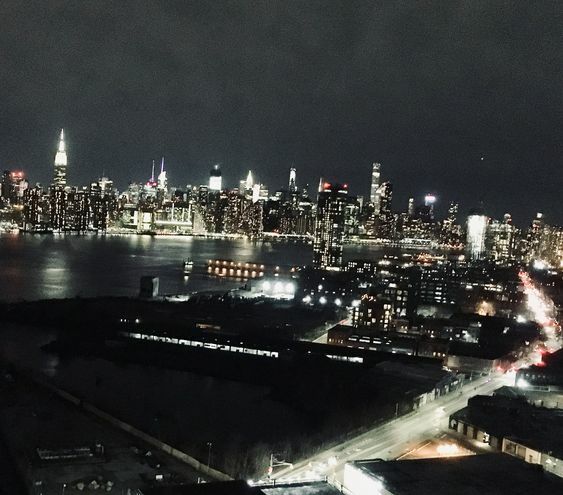 The view of Manhattan was breathtaking…the best I’ve ever seen! So, what did I learn from this experience? In the past, I took way more than I needed and did not wear half of the stuff I packed. Sound familiar? Another perk, no baggage fee, and I didn’t have to wait for my luggage. Within minutes, I was in my Lyft ride on my way to Mid-town! Did I mention happy hour couldn’t come fast enough? So now I’m challenging you….“One Weekend/One Carry-On”! Do you think you are up for the challenge? I have known Holley for many years through our connection at church. She is lovely, kind and very funny. But, most people know her for being very stylish. Holley’s the gal people always go to when they want the latest fashion tips, ideas on what to wear for an event or pack for a trip. I have even had her do a closet inventory for me and my daughter. Holley has such a great eye for style and spotting affordable fashion to make you look like you spent a million dollars. I’ve applied many of her tips in building my accessory wardrobe. When I approached Holley over two years ago with the idea of writing a weekly fashion post, she immediately responded, “I don’t think I can do that. I don’t know if I would be any good at it.” Well, here we are, over a hundred articles later and she’s made the 360 West Magazine! 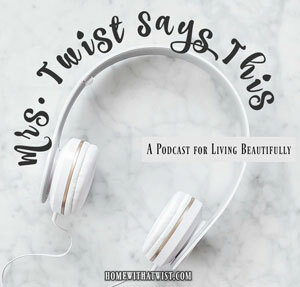 Each week she consistently delivers in my inbox a timely, carefully planned post with a Pinterest board full of ideas to inspire our readers. I am so very proud of her and honored to have her on our team here at HWT. 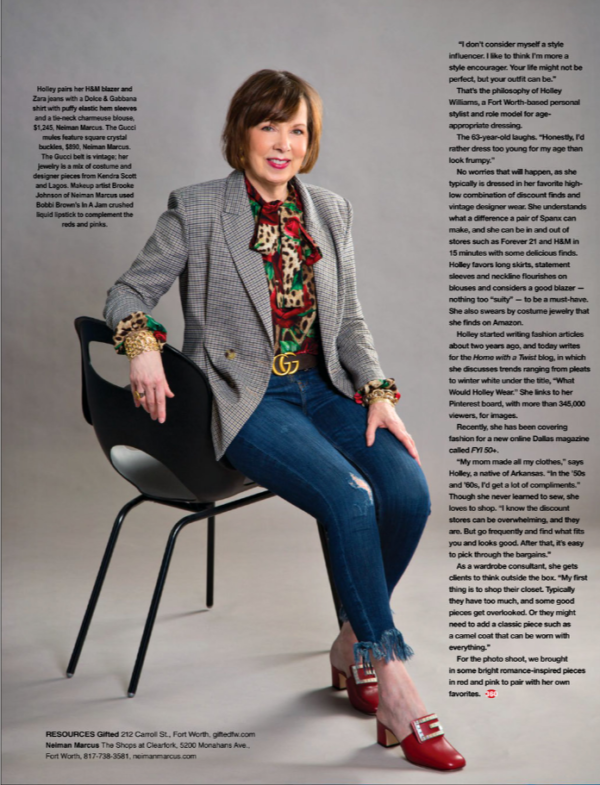 You can read the full article in 360 West Magazine here (all photos credited to the magazine). My mother had a special place in her heart for Holley and always said, “Holley is so beautiful. I love being around her.” I know our readers and Holley’s fans feel the same way. What Would Holley Wear? We look forward to many more Wednesdays to find out. Three Cheers for Holley! Nothing makes a girl feel prettier than pink…right? So for Valentine’s Day….or any day for that matter….we are suggesting a “pop of pink”! 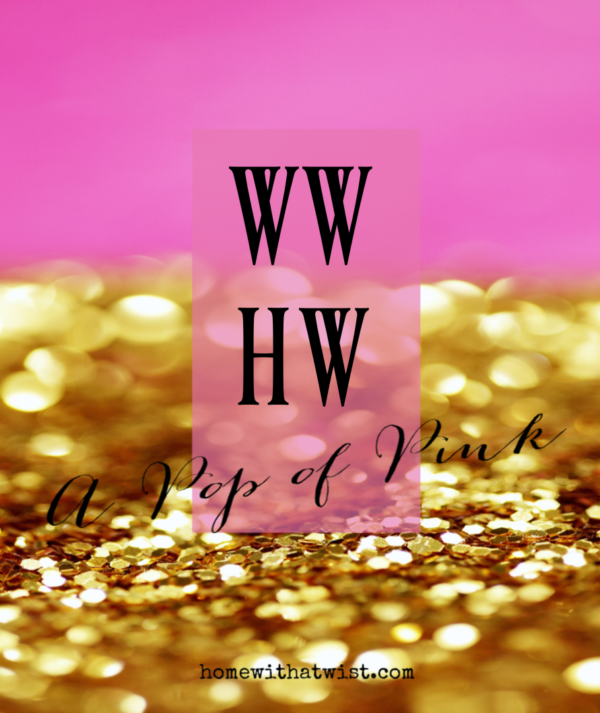 Even though pink may not be your color….a little pop here and there is all you need to feel pretty. So, let’s start with shoes! A cute pair of Converse sneakers always brings me joy, and their pink Chucks are no exception. 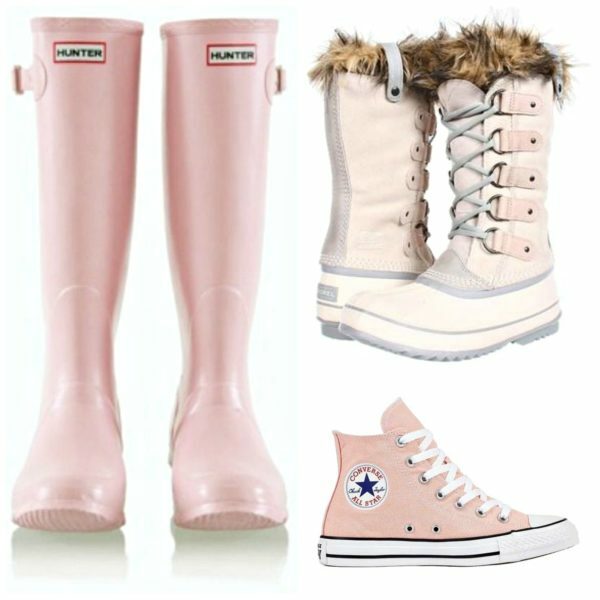 For a cold rainy day, we are recommending pink Hunter boots. Sorel’s fur-lined duck boots definitely call for a snowy day! Flat mules are so on trend and look great worn casual or dressy. Betsy Johnson brings us a dose of fun with her pink rhinestone flats…cute with a skirt or jeans. And without a doubt, our absolute favorite “Valentine” shoe is a pair of Kate Spade kitten heels! Be sure to browse all the pink shoe options on our Pinterest board. Another easy way to add a pop of pink is with a handbag. 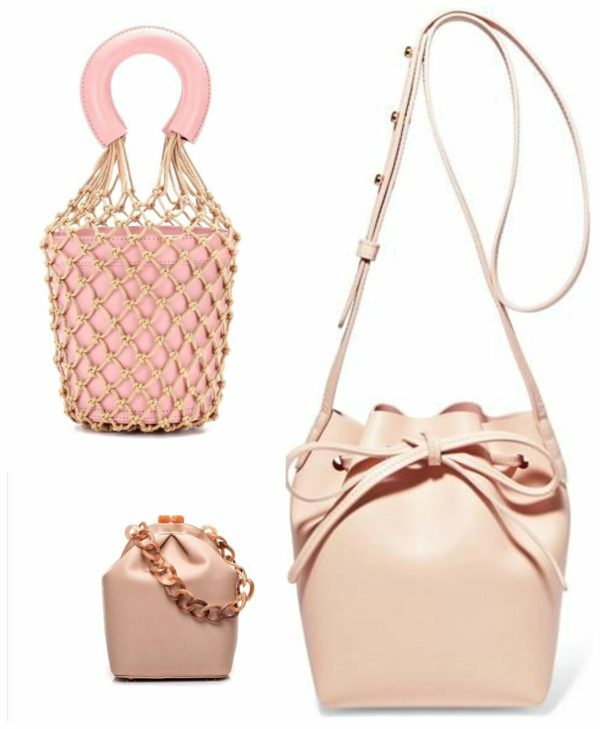 We are loving two pink bucket bags from Boho Couture. Their ultra-affordable Luna and Moiré bags are perfect for days when only your keys, wallet, and phone are needed. 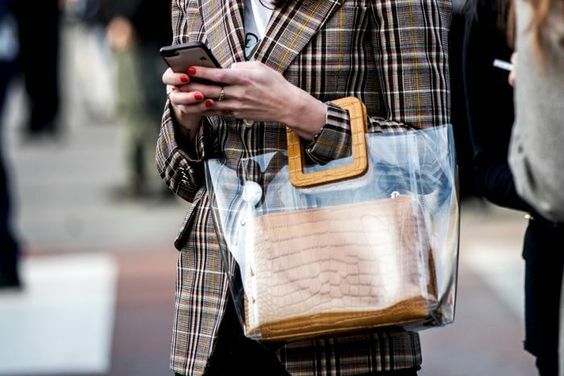 Want to know what handbag style influencers are carrying these days? That would be a Staud bag. Their pink bucket bag incased with macramé netting has stolen my heart! What says “fuzzy wuzzy” more than a pink teddy-bear coat? Nothing….right? 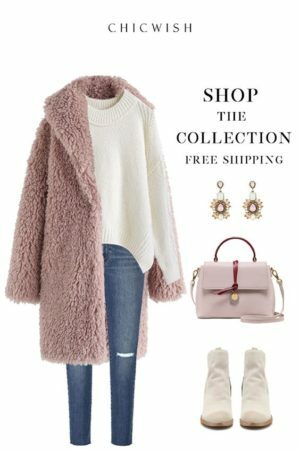 To say we have a crush on a Chic Wish pink teddy bear coat is an understatement. They show it draped over a white sweater paired with jeans, white booties, and a pink purse. 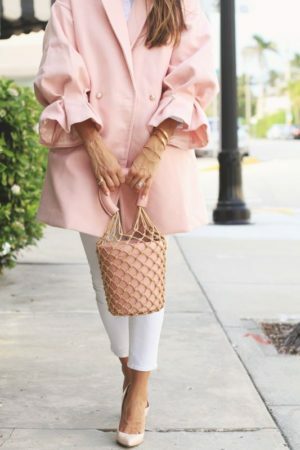 A Pinterest board fav features a pink coat with pearl embellished ruffled cuffs matched with white jeans and a pink Staud bucket bag. The perfect coat for now and early spring…don’t you agree? We think a pink scarf is perfectly perfect! Whoa…try to say that 10 times really fast! 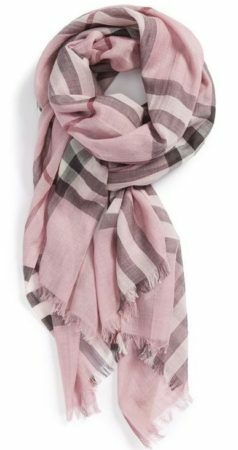 If you are wanting to add a classic touch to your pink style, wrap up in a plaid Burberry scarf. For a classic look, pair a pink scarf with a camel jacket or sweater. Either way, it’s the perfect pop of pink! A preppy way to add a pop of pink is with a vest. Take a look at the budget friendly selection from Amazon Fashion on our Pinterest board. A cute look for running errands shows a bright pink vest layered over a white sweater and blue checked shirt. 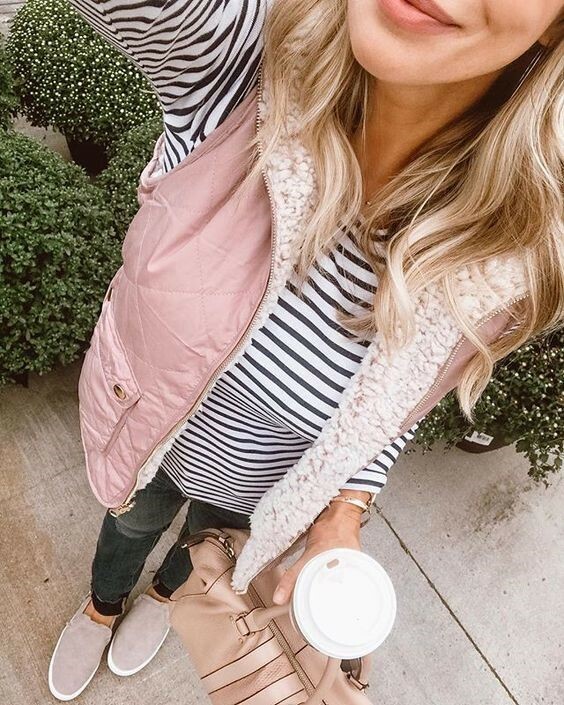 “Honey We’re Home” blogger layers her cozy pink fleece-lined and reversible vest over a striped tee. Hmmm…sounds like someone just scored “pink-points”! 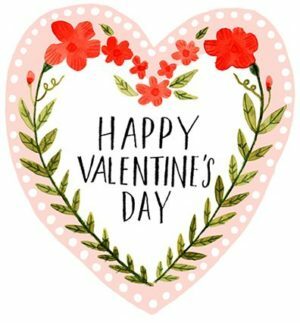 So here’s the deal…Cupid is definitely headed your way, and I just know you will want to welcome him with a little pop of pink! 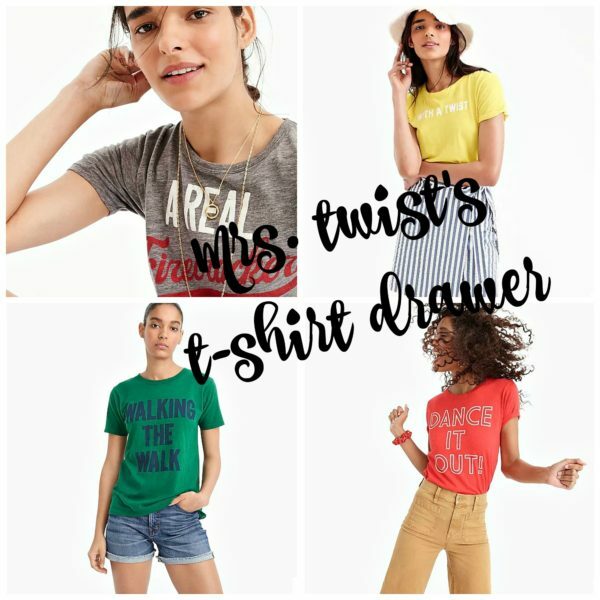 Did you know sometimes trends are classics that come back in style? I’m loving how two of my favorite trends are perfect for “now and later”! In my first article of the year (click here to read it), I mentioned my focus would be on classics, but adding a trendy twist. And just so you know….sometimes trends are classics that come back in style! Animal print is definitely considered a classic. To ramp it up a few trendy notches, anything in snake print will do the trick! 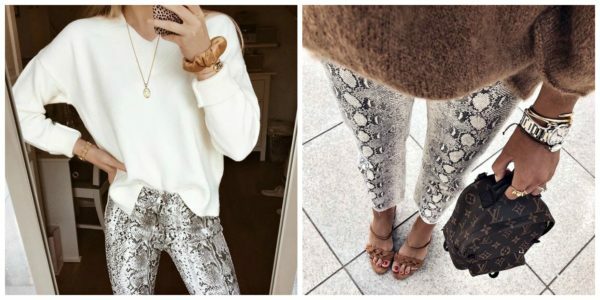 We are loving a pair of white and black snakeskin pants shown two ways. One look is paired with a camel sweater and the other with a white sweater. 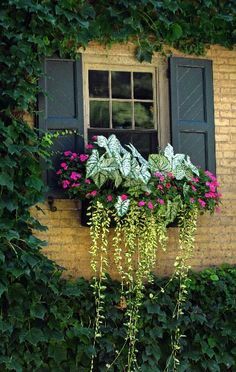 Both are ideal for now and will easily transition into spring. 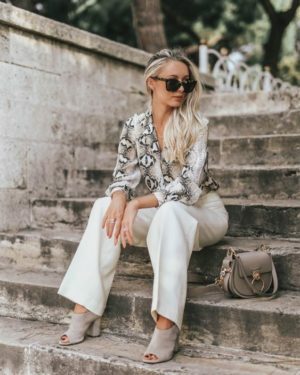 London based lifestyle blogger Fashion Mumblr shows us how to classically style a pair of white slacks with a neutral snakeskin print blouse. 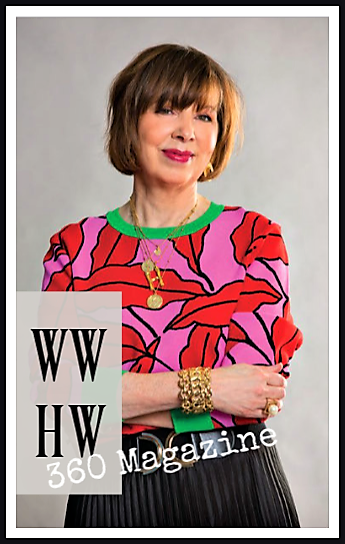 Doesn’t that sound like an elegant look for spring? And for now, add a white or camel coat. If all you want is a pop of this popular print, think about wearing a snakeskin belt bag seen on our Pinterest board. It’s perfect for travel and will complement any neutral ensemble. 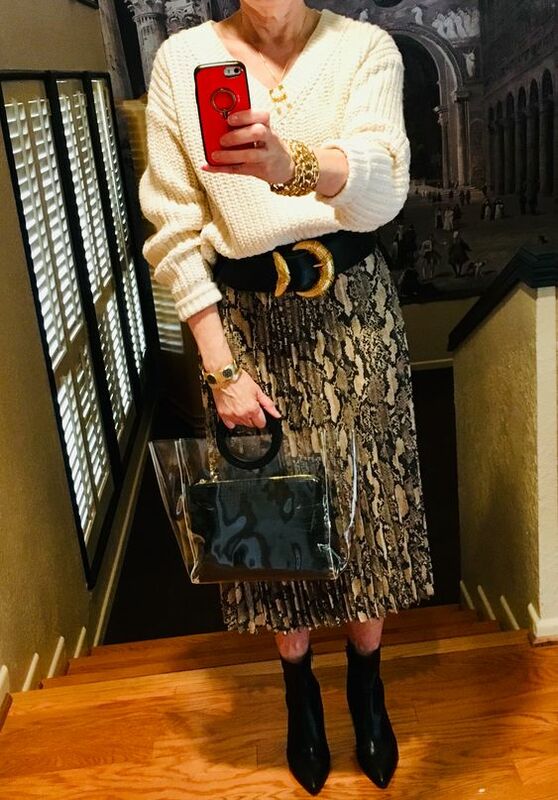 I’m loving a snake print pleated skirt I recently purchased from H&M. It pairs perfectly now with a taupe turtleneck. Later this spring, I plan to dress it up with a sheer ruffled blouse and add a belt. In addition, a coat or blazer in this classic print definitely works year round. Shoes and boots are another way to incorporate this trendy print into your wardrobe. Free People’s snakeskin booties go great with jeans now and will look super cute with crops later. If loafers and flats are more your style, check out the selection from ASOS on our Pinterest board. 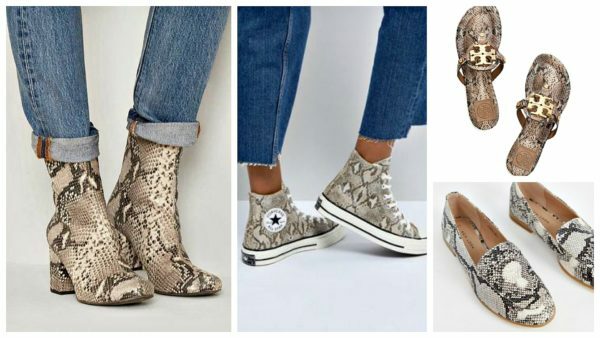 We think the ultimate animal print shoe is a pair of Converse all-star high top sneakers in snakeskin! 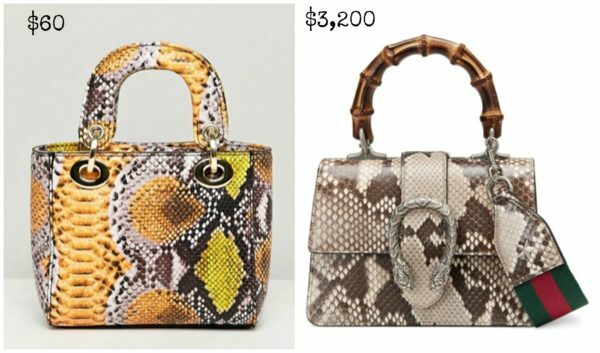 So here’s the deal….if I could have any bag I wanted, it would be Gucci’s genuine python mini satchel with a bamboo handle. Keep dreaming….right? The good news is there are so many affordable faux options available. ASOS always stays on top of what’s trending. Point proven with their yellow faux snakeskin bag….perfect for now and later! 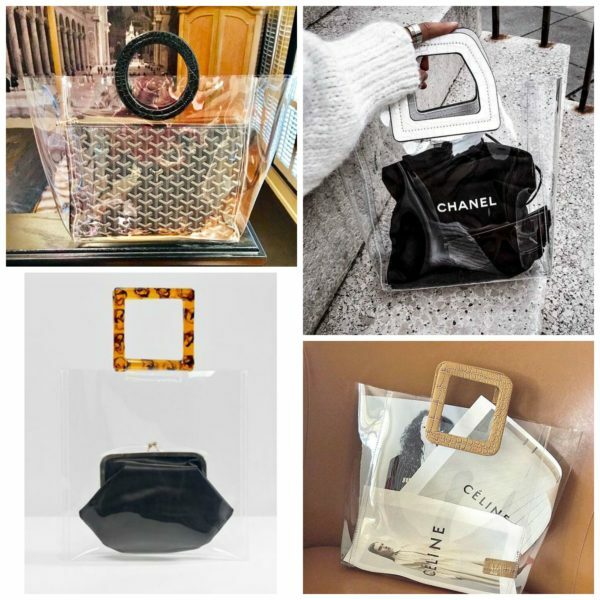 Translucent bags are definitely on-trend! One of the season’s trendiest bags is by Staud. In fact, it’s so cool and artistic that New York’s MoMA design shop sells it! We love how NYC fashion blogger, Eadie Blair, demonstrates different ways to style a clear tote by adding a pouch or clutch in a cute print. Such a fun way to match your bag with your outfit! Don’t you just love the versatility of a clear bag? 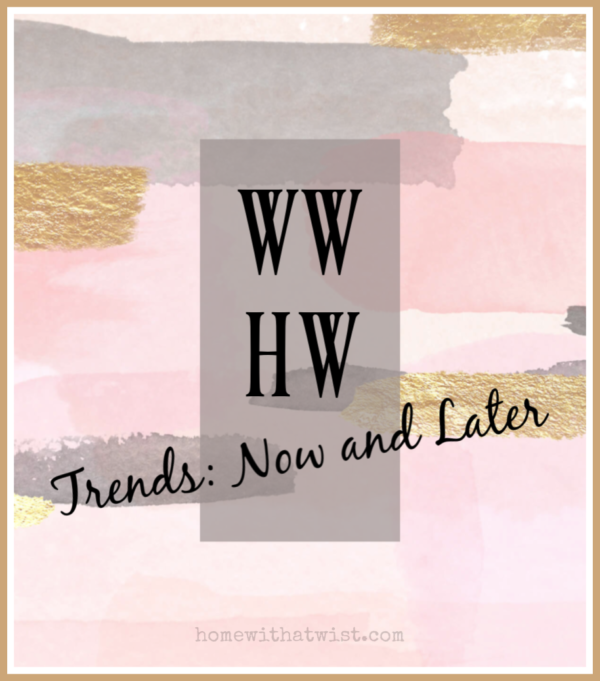 “Now” that you know how to incorporate these two cool trends into your wardrobe….I guess I’ll see ya “later”!